A Simple, Yet Tasty Beef Stir-Fry! – Butter, Baking, and Bacon! A Simple, Yet Tasty Beef Stir-Fry! My hubby and I just love Asian food! We also love to save money so we’ve been creating some of our own take-out masterpieces in our own kitchen! 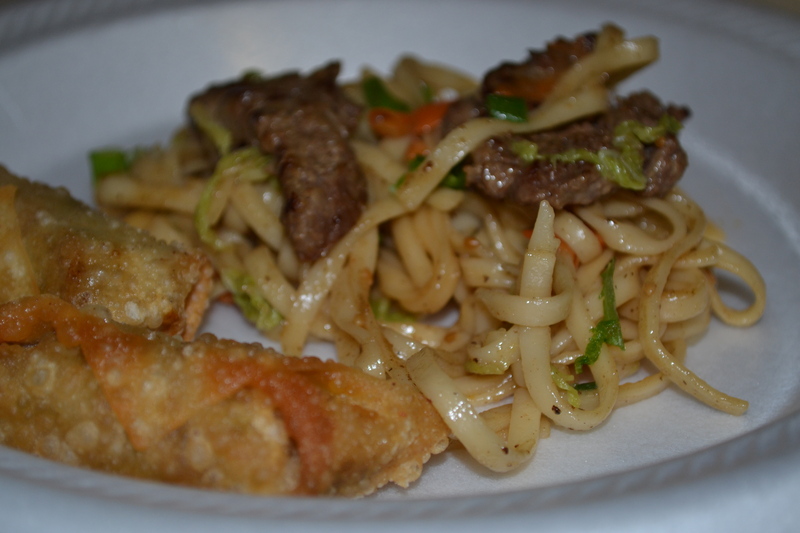 This rendition of a “lo-mein” is sort of like a stir-fry hybrid, but it was really good! Cut the beef across the grain into thin strips. Season with salt, pepper, and soy sauce. In a small bowl, combine the oyster sauce, soy sauce, beef broth, teriyaki sauce, and sugar. Set aside. Fill a large saucepan with enough lightly salted water to cover the noodles. Bring to a boil. Add the noodles and cook, uncovered, until they are al dente. Be sure to separate the noodles while they are cooking. 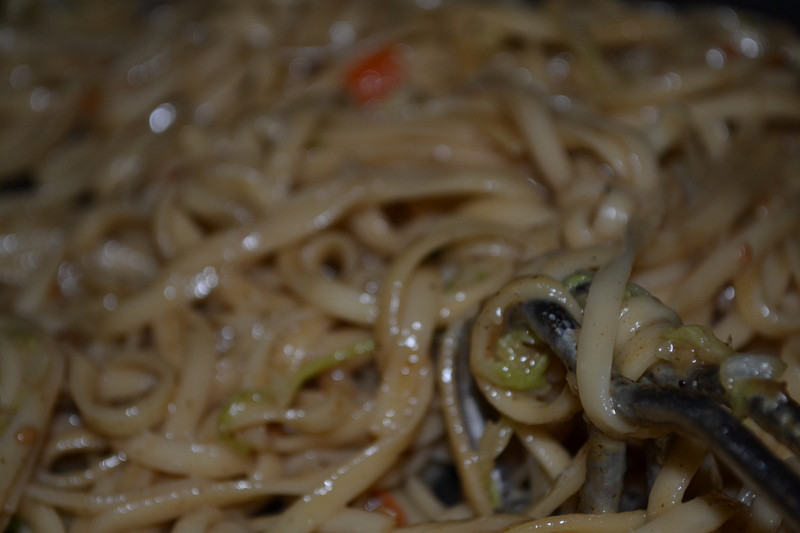 Drain the noodles and toss with the sesame oil. Heat the wok over medium-high to high heat. Add 2 tablespoons oil and the beef. Brown briefly, then stir-fry until it changes color and is almost cooked. Set aside. Add 2 tablespoons oil to the wok. When the oil is hot, add the garlic. Stir-fry until fragrant, then add the carrots. Stir-fry for about 1 minute, then add the shredded cabbage and cook for 1 more minute. Add the noodles and cook for about 2 more minutes. Next Post One Chicken: Two, Maybe Three Meals!! very nice recipe and the instructions are catch-able..